Part of the IMG Prestige global reciprocal network, Royal Bled will host its first International Pro-Am from 9-12 of May 2019. The event will take place in the historic town of Bled in Slovenia, approximately 45 minutes from the capital Ljubljana. The tournament will be played over 3 days, including 1 practice round prior to the beginning of the competition. The event is limited to 22 teams and each will be formed by 1 Professional and 3 Amateurs. A Professional prize-fund of EUR25,000 is on offer, with the winning Professional collecting EUR6,000. After the last round all players will enjoy a gourmet dinner at the King’s House award-winning restaurant, followed by the Prize giving. There will be fantastic prizes distributed to the top 3 teams and the selection of sponsors includes Ile Aux Cerfs in Mauritius, another IMG Club. The championship Bernhard Langer design golf course offers superb sea views of the surrounding Indian Ocean from different vantage points on holes throughout the island. Royal Bled is the oldest and the largest Slovenian golf course. Its origins date back to 1937 and it is regarded as one of the most scenic courses in Europe. 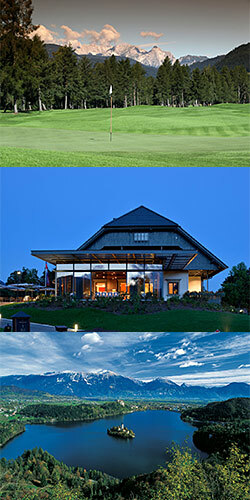 The club comprises the 18-hole King’s Course and the 9-hole Lake Course. The course is set apart by its unique location overlooked by the highest of the Slovenian Alps and the wonderful countryside embracing it. It attracts amateurs and professionals from all over the world. The Kings Course was recently renovated and offers golfers spectacular views of the amazing natural landscape adjoining the course. In addition to world class golf Royal Bled features a state of the art golf academy, well-appointed clubhouse and luxurious accommodation. Royal Bled Golf Course is only 3 kilometres away from the Bled centre and Bled Lake. IMG have been providing management services to Royal Bled since 2015. For online entries please click here.